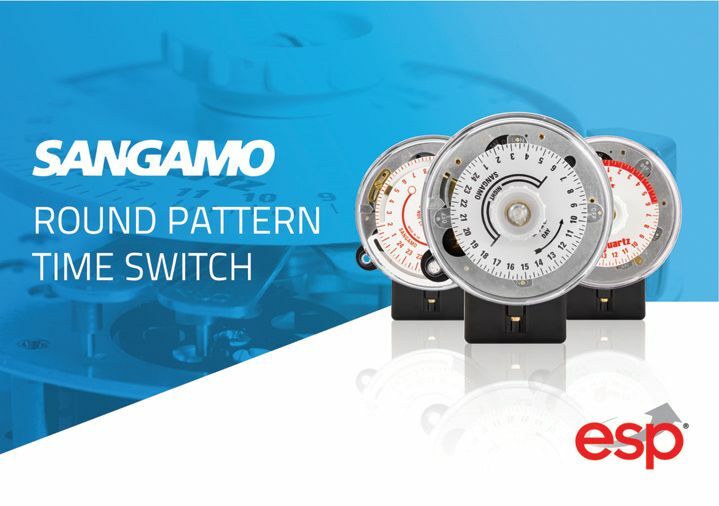 For over 65 years, Sangamo has been manufacturing its famous Round Pattern Time Switches to the same high standard that was first achieved back in the 1950’s. With over 11 million units sold to date, the installation of a Sangamo Round Pattern Time Switch (RPTS) used to be a regular job for many electricians. Despite the electro-mechanical time switches being less common today, the company still reports sales of thousands of units each month, both as replacements and as brand new installations. The switches are split into four categories containing both three-pin and four-pin connections. Three-pin switches have common clock and switch connections. This means that the same 230V ac live supply used to run the clock is also used as the live input for the switching circuit. Four-pin switches have independent clock and switch connections which enable a different AC switching circuit voltage to be controlled from that of the 230V required to run the clock. S250 Range – the basic ‘black dial’ 24-hour time clock for simple on and off switching of up to 20A. Q550 Standard Range – the standard 24-hour ‘red dial’ switch with added 100 hour battery reserve to keep the switch in time if any power outage occurs. Q550 Solar Range – specially designed for lighting applications. The Astro/Suntracker switches automatically adjust themselves to follow sunrise and sunset times without the need for a photo sensitive cell. E850 Digital Range – the newest addition combines the high capacity and reliability of the electro-mechanical models but provides full 7 day programming.